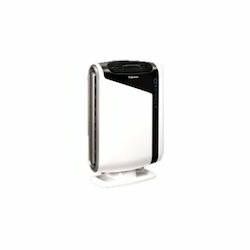 Pioneers in the industry, we offer air purifier, car air purifier, air purifier for hospitals and meeting room air purifier from India. 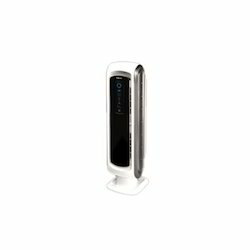 We have gained a remarkable position in the industry by offering a qualitative assortment of Air Purifier. 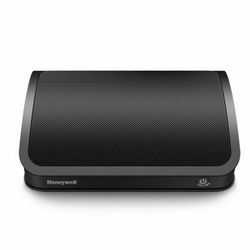 Presenting Move Pure Car Air Purifier by Honeywell, a Fortune 100 company. 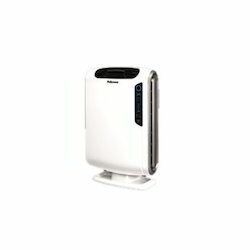 High Grade HEPA filter - removes PM2.5, dust and fights external particulate pollutants. Advance double layer active carbon filter - removes VOCs, formaldehyde, cigarette smoke, bacteria, virus, toxic gases and odour. Completely ozone free, does not release any ions. Powerful performance with CADR of 12 Cu m/hr, can be used in all kinds of cars - small to SUVs. Single button operation to manage device on/off and two fan speed modes. DIY installation - easy to install and use. 4 Velcro fastener sets included. Can be mounted on the dashboard or on the rear parcel tray. Flexible and Long Connecting Cable - Allows placing the unit wherever you desire rear parcel tray, below the seat or dashboard surface. Smart switch on -starts with the previously saved settings once the car ignition is switched onDevice has a filter replacement reminder. Flame retardant material, safe to use even in hot summers. Long filter life of 360 hours, can run for 5-6 months if used for 2-3 hours day. Number of Air cleaning stages (Filtration stages) - 2 Nos. Leveraging on our industrious professionals, we are offering a supreme quality range of Air Purifier for Hospitals that iswidely used in hospital, small clinic, laboratory, office, meeting room and home etc. With our vast experience in this domain, we have enabled us to serve our clients with a broad array of Air Purifier for Meeting Room.